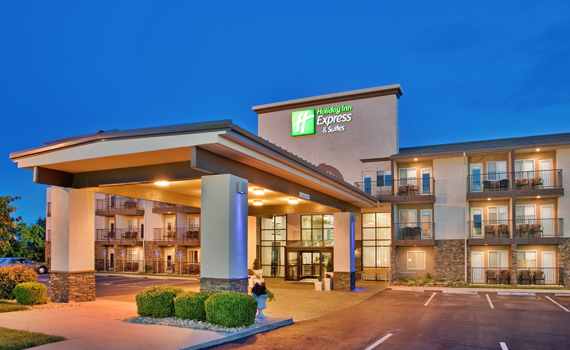 Stay at “Holiday Inn Express & Suites Branson 76 Central” for a fabulous view and quick access to Highway 76! 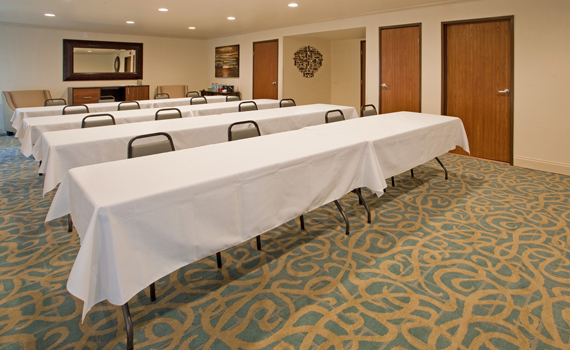 Easy to find in its somewhat secluded location behind Shoney’s Restaurant, you’ll appreciate this nice, quiet spot that’s within walking distance to stores like Walmart and Price Chopper, perfect for picking up those essential items you might need away from home. 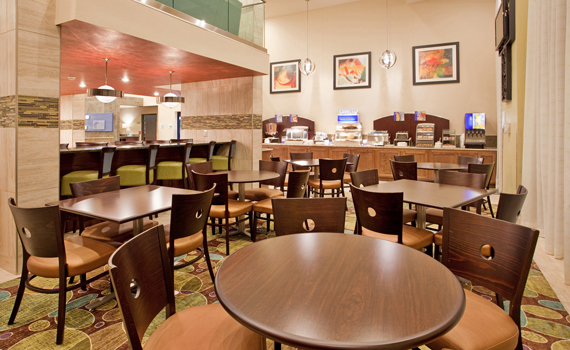 You can also walk to many great places to eat like India Clay Oven, Grand Country’s big buffet and the Outback Steak & Oyster Bar. 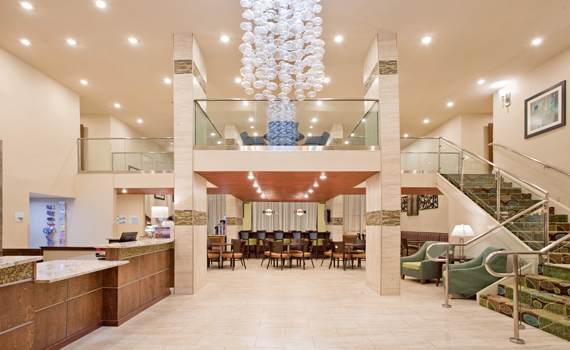 Inside this beautiful “Holiday Inn Express” you’ll be treated to upscale decor from the lovely lobby area to the bright and modern breakfast area and throughout the property. 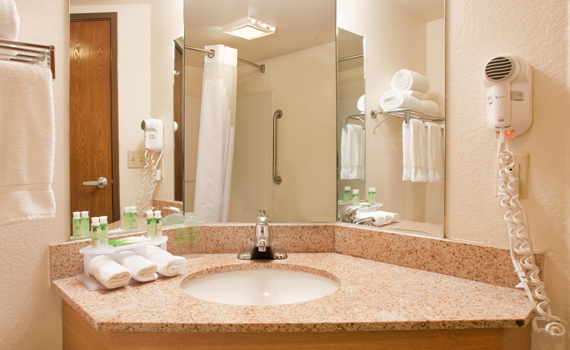 Rooms are clean, comfortable, and well equipped with essential amenities like a coffee maker, hair dryer, complimentary WiFi, and a nice flat panel television. 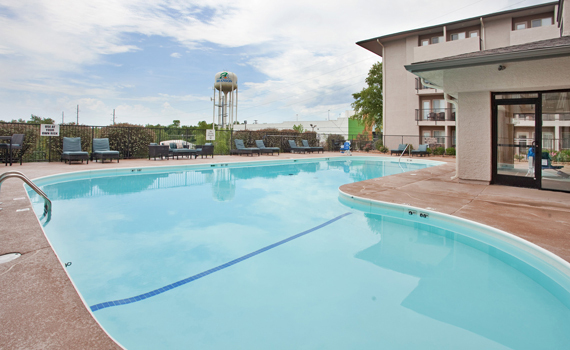 Make sure you’ve packed a suit for a dip in the large outdoor pool with a big patio area for sunbathing, and a stunning view of the Ozarks countryside! 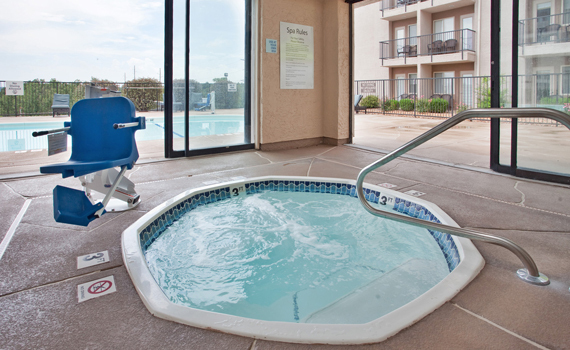 There’s also a nice indoor hot tub and accompanying fitness area that’s accessible to guests around the clock. 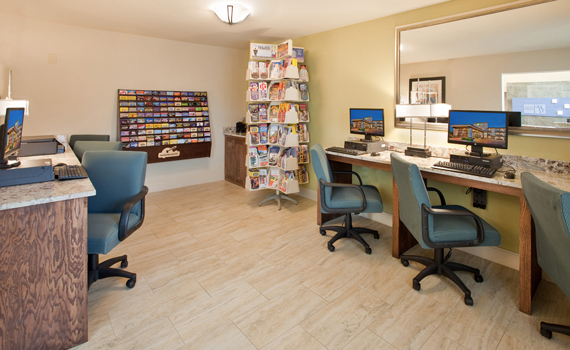 If you have business to take care of, the 24-hour business center will come in handy! 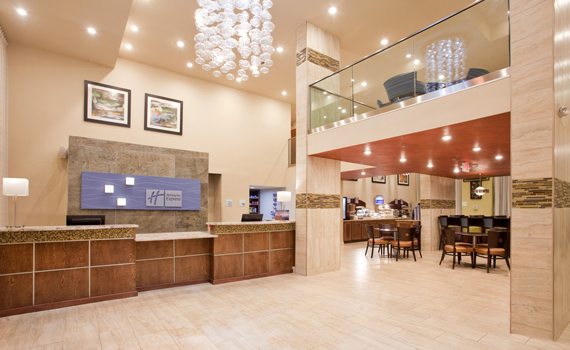 With many of Branson’s entertainment offerings nearby, all the amenities and special features you look for in a lodging property, and a fantastic location in the heart of Branson’s entertainment district, the “Holiday Inn Express & Suites 76 Central” is your ideal place to stay! 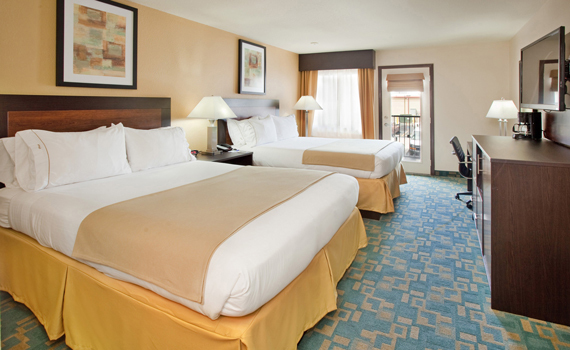 Room Details: Two queen beds with wireless high speed internet, free local phone calls, desk and chair, coffeemaker, iron and board, hair dryer.